SAAI (Southern African Agri Initiative) will support South African farmers who lost their farms in Zimbabwe to receive compensation. SAAI is also busy assisting Zimbabwean farmers that retreated to South Africa with compensation claims, thanks to its network of partner organisations. In a dramatic turn of events, the Zimbabwean government recently announced that farmers, who lost their farms due to land reforms since 2000, will be compensated. As a first step, an amount from this year’s budget has been provided to be divided between farmers who are financially distressed. This offer by the Zimbabwean government comes on the eve of the World Bank’s Spring Meeting, of which Zimbabwe is extremely dependent for soft loans to get its economy back on track. 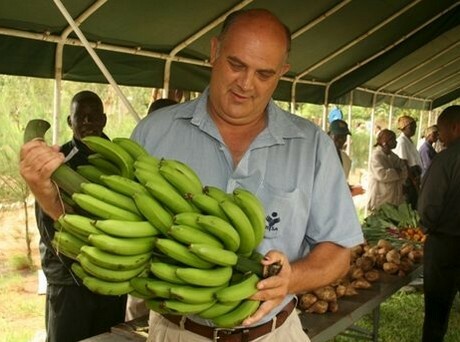 The international condition of compensation to farmers who were deprived of their farms since 2000 under the so-called “accelerated land reform programme”, as well as the sanctions imposed on Zimbabwe as a result, are currently hampering economic growth in this country. SAAI wants to assemble the 800 South African victims of Zimbabwe’s disastrous land reform programme and is planning on discussing the process, administration and future of compensation with affected farmers in Pretoria.